This week is a couple of adventures from the RPG Knights blog. 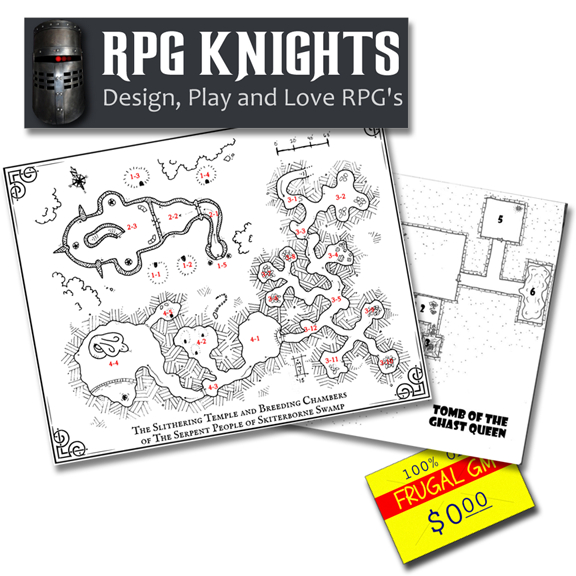 Now there is actually a good quantity of downloads at their Free Stuff Page, and that's what I'll link most things to, but the two particular items I want to draw your attention to are the DCC adventures The Serpent People of Skiterborne Swamp and Tomb of the Ghast Queen. 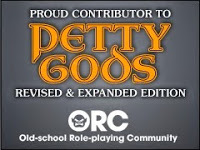 The former is written around Matt Jackson's map and the latter has been "translated" for a couple of systems (including Pathfinder and D&D 5E). The author of all this, Mark Knights, has graciously made them free for everybody. Definitely worth checking out.